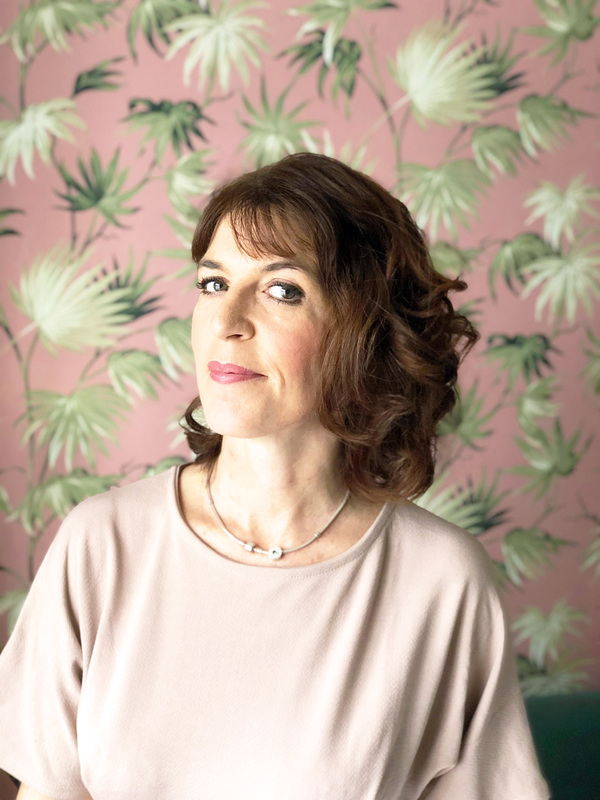 You could say that I have a bit of a thing for maps in our homes having written about them in terms of our walls and even ceilings in the past. It’s not that I’m a seasoned traveller either. For me, it’s the gentle reminder that there’s more to life beyond our familiar surroundings. And should we wish to, we can venture and explore into the unknown. Anyone ready for a road trip? If you recall my preteens bedroom guide then you’ll know that I had contemplated getting a map for our ten-year-old old son’s bedroom. So I was delighted to be contacted by Maps International a company who are renowned for their array of quality maps in different guises to see if I’d like to try one. Of course, I leapt at the opportunity! Maps International have the largest collections of maps that you’ll find anywhere and I was completely blown away by the number of styles and types of maps they had to choose from. I did, however, manage to narrow it down by deciding where the map was to be used and who the map would be used by. And you’ve guessed right, my ever so lucky son! Maps are incredibly fascinating when you look at the detail and information they provide. And whilst they are a means of communicating the wondrous world around us, they can be perceived as works of art in their own right. Whether it be a tube map, or a more complex city map, you can’t deny they’re interesting to look at. Maps have provided us with a universal medium for centuries, regardless of language or culture, and the earliest known maps go back as far as 16,500 bc, and related to the sky. 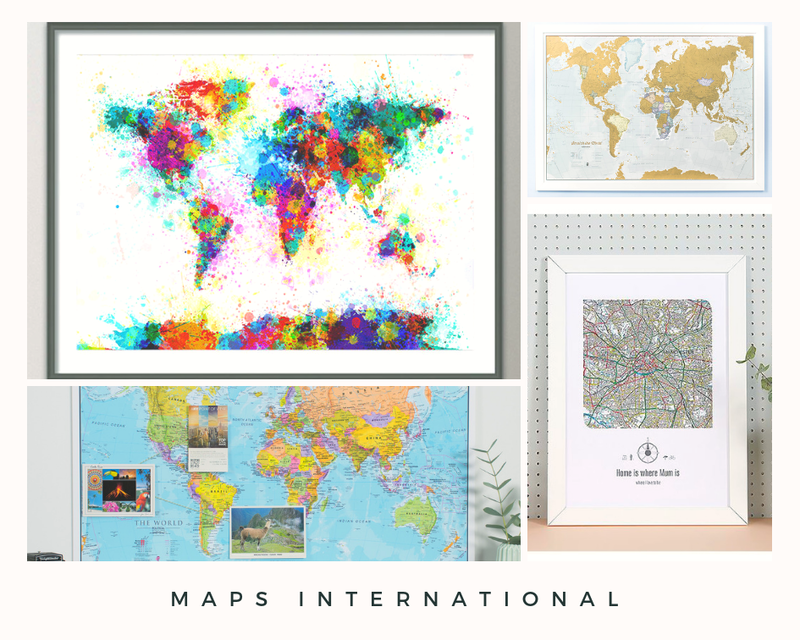 Whether you’re a keen traveller or just like to reminisce about far and distant shores that you may have travelled to, maps are inspiring pieces to have in your homes. Maps International are one of the largest online wall map shops there is. Offering you the largest range of maps worldwide. Their wall maps included their famous world wall maps, as well as continental wall maps and British Isles wall maps. The pinboard map I chose from Maps International was definitely not what I was expecting but in a positive way. Firstly it’s not made from your normal cork and secondly, the quality will have you jumping up and down for joy. I was literally in awe of the clarity of the map and the sturdy frame framing it. When I received the pinboard map from Maps International, I actually ended up contacting them because I thought they had sent me a picture by mistake! The quality of this map was that good. This Classic World Map is supplied laminated mounted onto Kapa mount foam centred board. 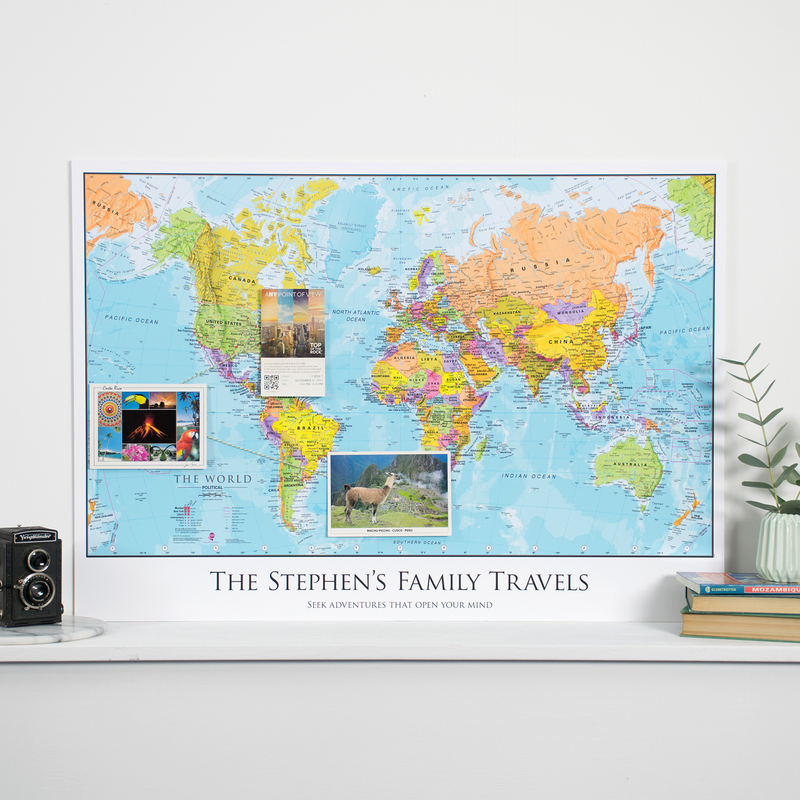 Fixed to the back of this board is a hanging mount, allowing you to easily hang your map. I even took off the sturdy backing to check to see if this really was a pinboard. Because it is laminated, it’s also easy to wipe grubby fingers and keep clean especially if you have little ones. I chose the pinboard framed map not only because of its aesthetic timeless qualities but because it would be a useful interactive piece of art too. It’s a keepsake that he will be able to use from his teens through to university and beyond. He’s already planning places to go especially as he’s an avid reader of Greek mythology books and has already looked at going to Greece. For more fun interaction, I made him some fun push pins by using an old Lego safari man together with a toy car which he absolutely loves. The Lego man represents our son. He can literally pin himself anywhere in the world he would like to go. And as we’re away next week to Gran Canaria, he is currently pinned to this part of the map. Of course, as he gets older and travels more this brilliant pinboard map could become more of a record of travels using proper map pins highlighting areas that he has travelled to and where he will be planning his next adventure. I have to admit that because of the pinboard being so picture perfect, I was apprehensive about pinning anything into it. Not a complete lover of the post-it note, I made a note holder by hot glueing a peg to a push-pin so he can attach important notes, tickets to concerts etc as he gets older. This pinboard map is literally rocking our son’s world. He absolutely loves it because it makes him feel a more grown up. I’m loving it because it looks great in his bedroom, but more importantly, it’s something that will travel with him into adulthood and be put to good use. 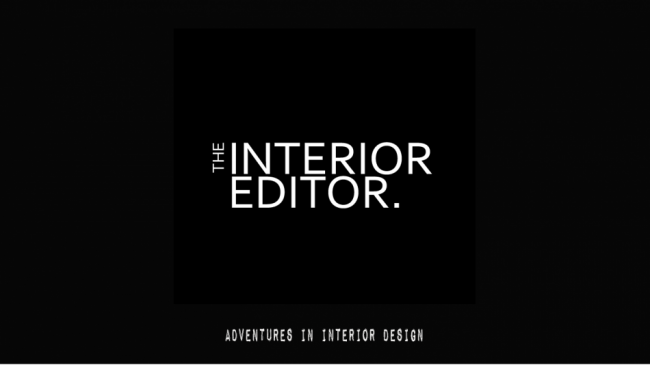 Now you can’t really say that about your average pinboard or children’s decor, can you? You can find a selection here of the different types of pinboard maps that Maps International have on offer or if you’re smitten by the one laminated and framed one above you can find it here. As much as today’s post is about Map International’s pinboard map, I thought I’d just squeeze in a few additional maps that they have in their repertoire for those of you that may be looking for future gifts or just something for yourself. Available in a choice of two sizes, Map International’s iconic Scratch the World® prints are a feast for the eyes. Identify the continents, countries & cities you’ve visited and scratch them out to reveal your own personal, continually changing travel footprint. Beautifully styled, this map contains the kind of detail you only find with high-quality cartography and makes a wonderful keepsake for all ages to enjoy. 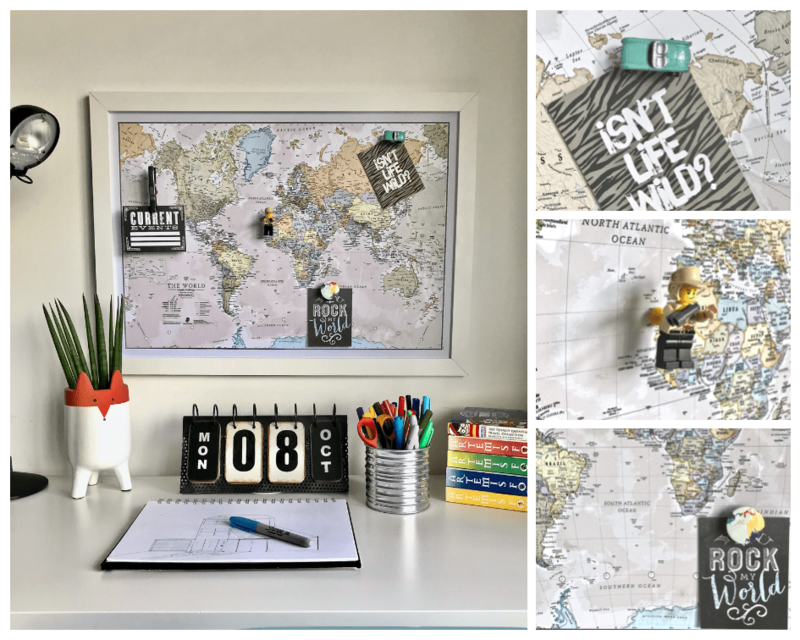 Select from the classic Scratch the World® map print or opt for something a little bolder with the Scratch the World® Black Edition – guaranteed to add a striking statement to your walls! There’s an Activity Adventure print for little adventurers too. Coins at the ready! We all know how special that personal touch is at Christmas and Maps International’s range of unique personalised gifts are an exceptional way to tell the explorer in your life how much you love them. Mark off adventures taken, plan new ones, pin photos and highlight memorable moments; these maps provide hours of nostalgic fun that are a hit with all ages. The range includes stunning city maps, personalised maps of the UK, and world travel maps or why not opt for a colourful World is Art Map for a bold & brilliant interiors statement? So what do we think? Are you as amazed as we were with how fab this pinboard map looks? It’d be great to hear from you! *I received this pinboard map in return for an honest review. All thoughts and writing are my own. Hehehe Jenny do it! Your son will love them :D We really love this pinboard map and it looks fab in our son’s bedroom. He’s already planning where he’d like to go. I so need to make some Lego pins now! Such a lovely idea. I’m just planning a little revamp for my youngest daughter’s bedroom and this would fit really well. I love your pins too! You are going to laugh, I have the gold scratch map in my guest bathroom, yet I have never scratch any country even I travel a lot! I just find it to pretty all gold! What a fun idea. I love the lego pin man. Genius! I really love this idea and I think I’d have really appreciated a map in my room as a child. I dreamed of travelling and actually my geography knowledge is pretty appalling if I’m honest. 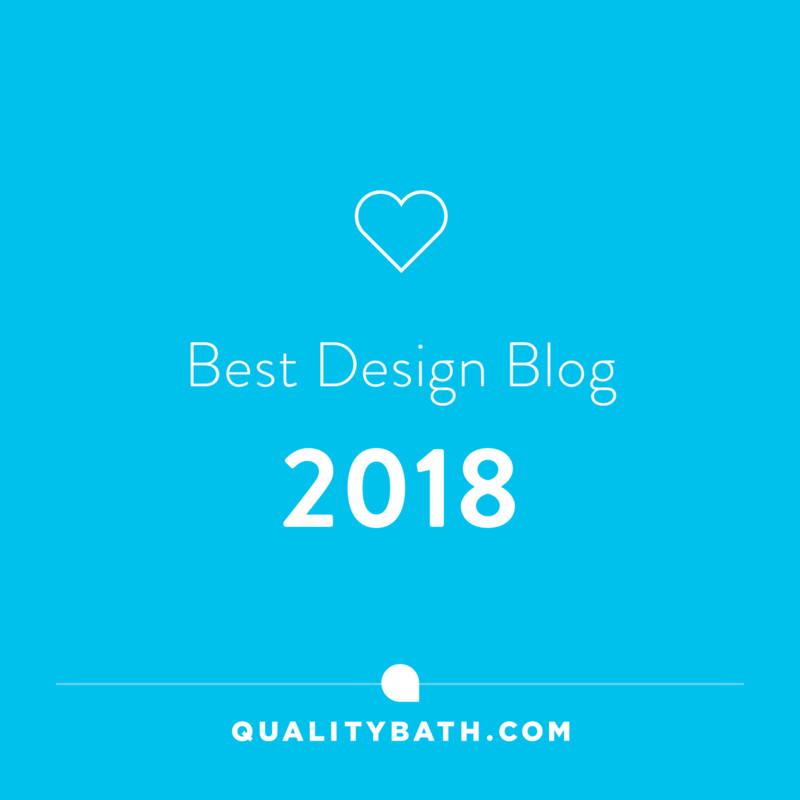 Great post and it looks wonderful in your son’s room. This is a brilliant map ideas. I am looking for one at the moment so this is perfect!